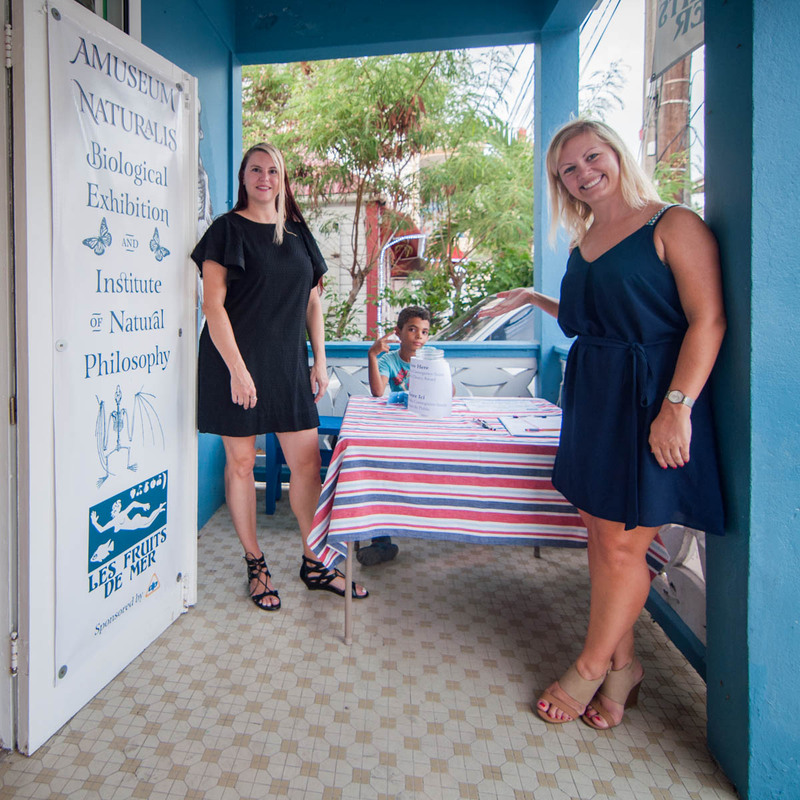 Over 300 people of all ages came out to Amuseum Naturalis on Friday to celebrate island heritage and enjoy an evening of music, food, drinks, and photography at the grand opening for the 2016 Heritage Photo Exhibition. 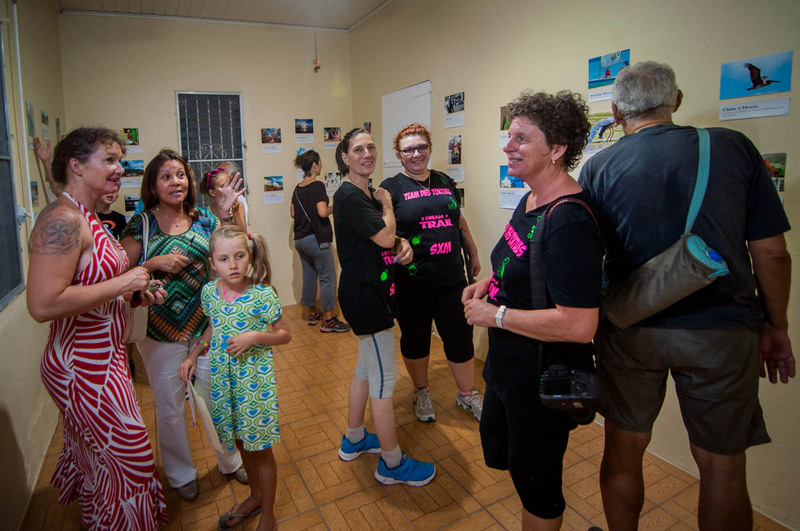 The annual Heritage Photo Contest and Exhibition was developed by Les Fruits de Mer as a way to showcase local heritage and photographers, and as an opportunity to create a public dialogue about the unique heritage of the island. 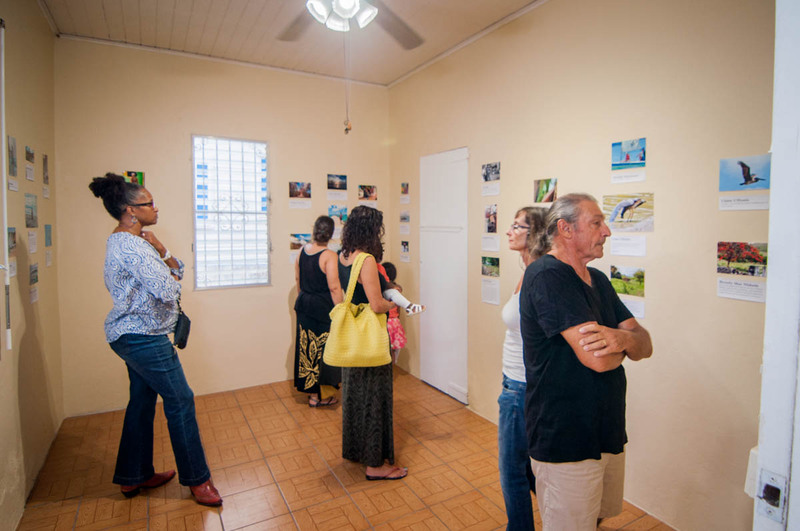 Attendees thronged the museum’s Special Exhibition Room to see the 32 works chosen for display from the 140 submissions for this year’s theme, The Spirit of St. Martin. Additional images were spotlighted in The Spirit of St. Martin slideshow playing in the museum’s theater. Guests also voted for their choice to win the Erika Cannegieter-Smith People’s Choice Award, an annual prize which honors the founder of Be the Change SXM. 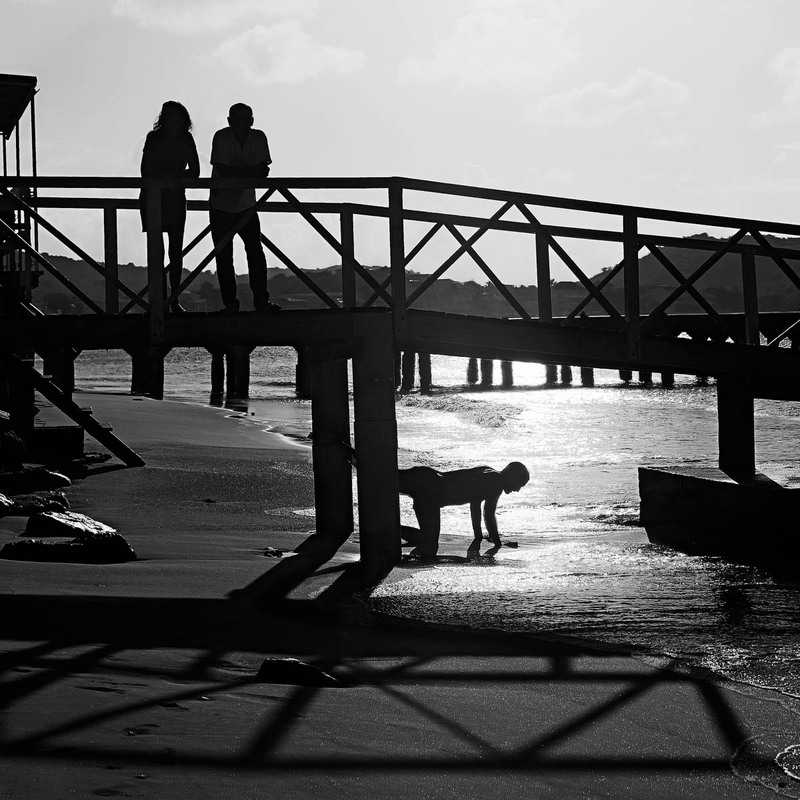 The winner of the 2016 People’s Choice Award was Francisco López, with a vivid image of children on the pier in Grand Case Bay. 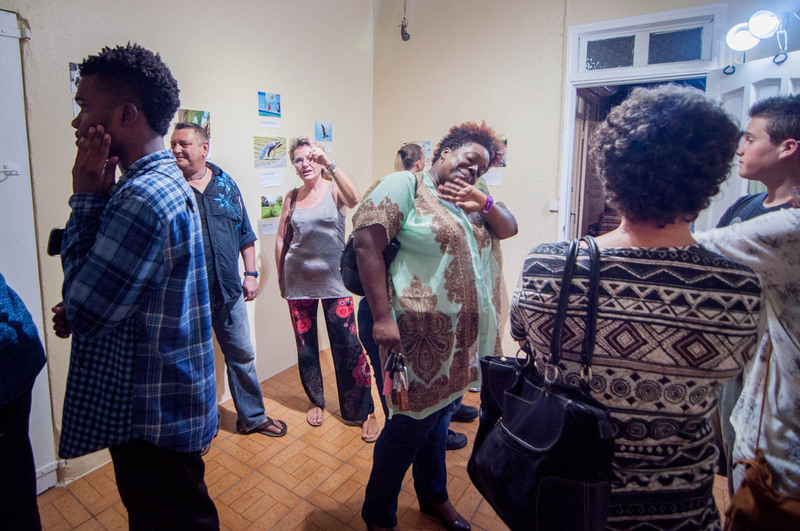 For anyone who missed the opening, the free exhibition will be on view from 4-8pm on Thursday June 30th, the last publicly open day planned for the pop-up Caribbean natural history museum Amuseum Naturalis. Amuseum Naturalis is located at 96 Boulevard de Grand Case in Grand Case. 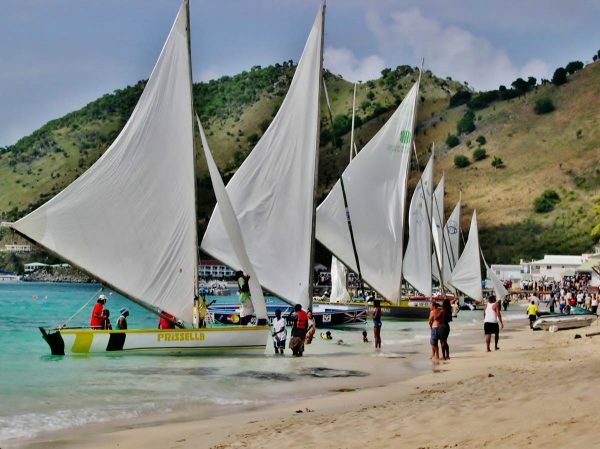 The contest gallery can also be viewed online at http://www.lesfruitsdemer.com/category/spirit-of-st-martin/. 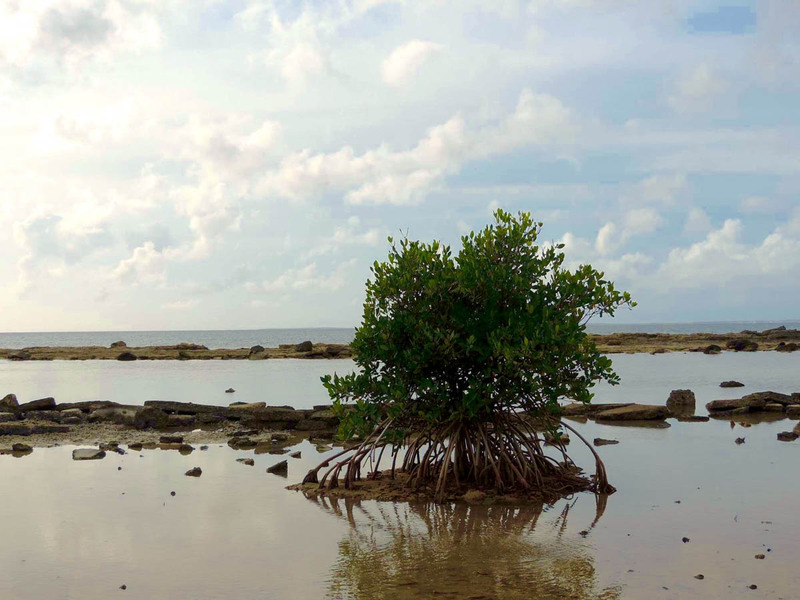 Residents and visitors are invited to celebrate island heritage and the art of photographers of all ages at the 2016 Heritage Photo Exhibition. 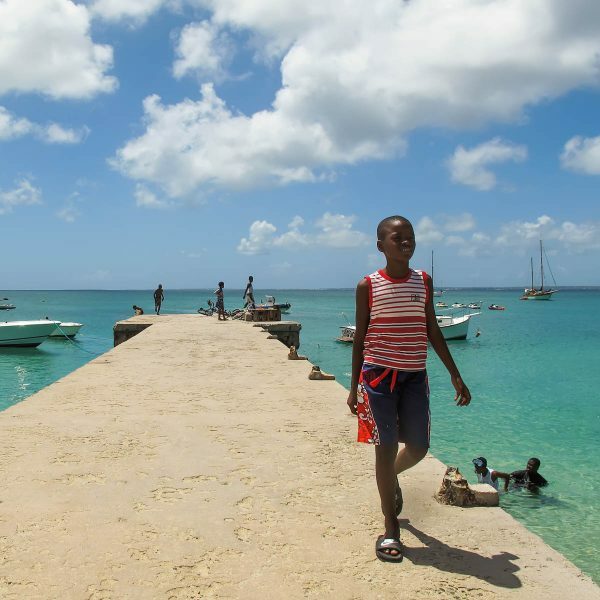 The Exhibition will present a wide variety of perspectives on St. Martin heritage at its free public opening at Amuseum Naturalis on Friday, June 24th from 6-10pm. The Exhibition will feature images from every entrant in the 2016 Heritage Photo Contest, which was developed by Les Fruits de Mer as an annual way to showcase local heritage and photographers, and as an opportunity to create a public dialogue about the island’s heritage. 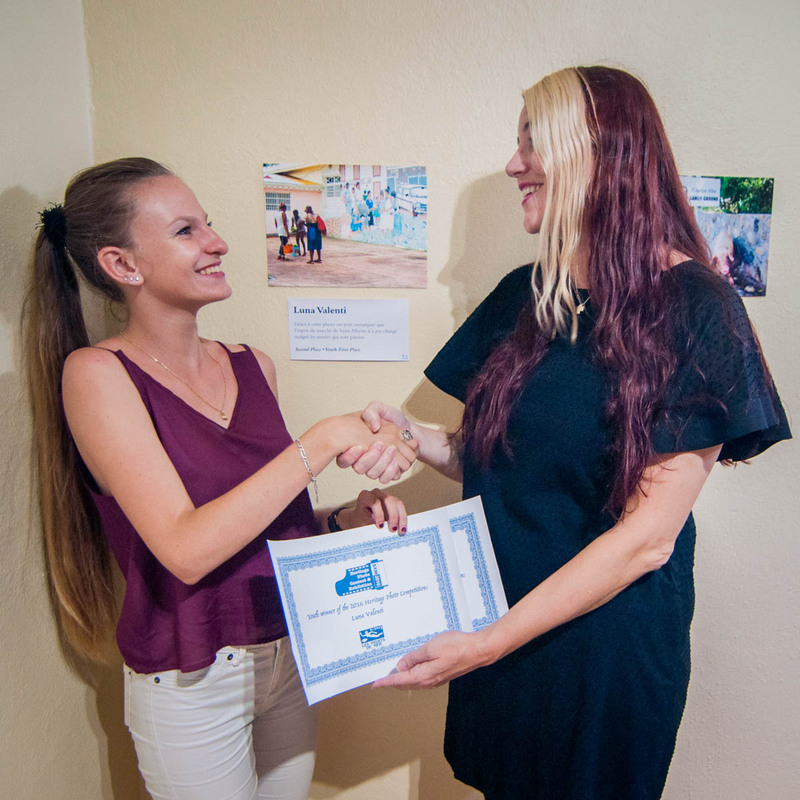 The Exhibition will include the first-prize winning image from the overall competition, by Bianca Schladt, and the first-prize winning image from the youth competition, by Luna Valenti. 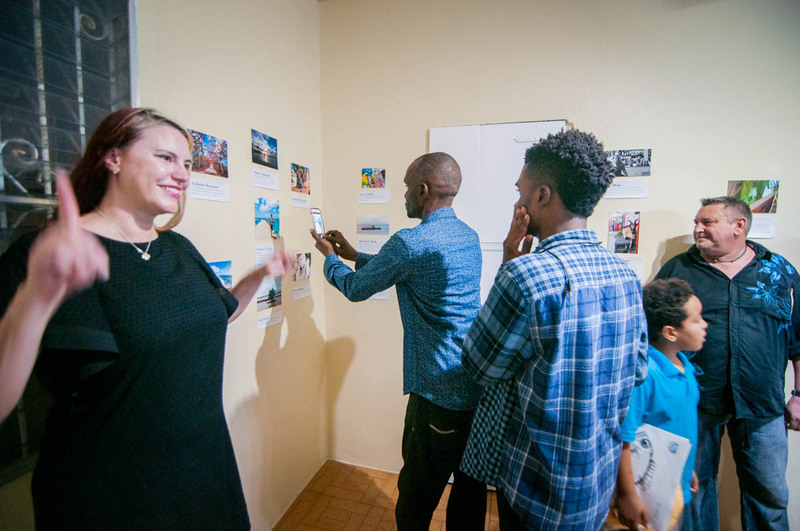 As well, as at least one photo from every participant will be on display so that guests can vote during the opening for their choice for the Erika Cannegieter-Smith People’s Choice Award. 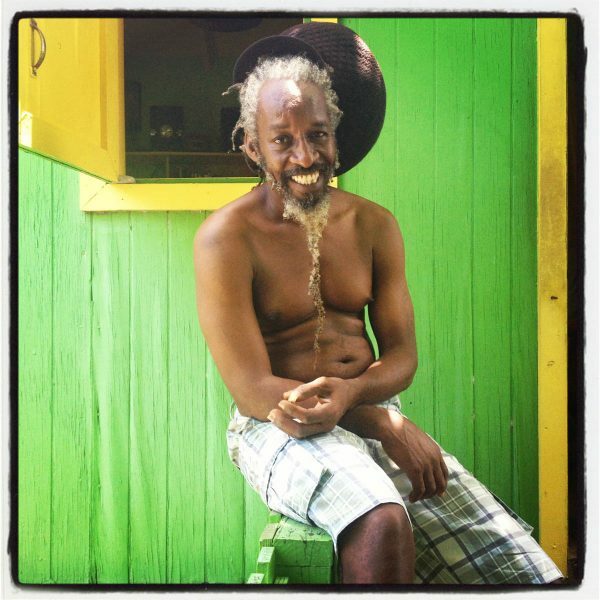 This award honors the founder of Be the Change SXM. An awards ceremony will take place during the opening at 9pm. Prizes in all three categories will include not only cash but also a wildlife book, a t-shirt, and a gift certificate to Lagoonies Bistro & Bar. 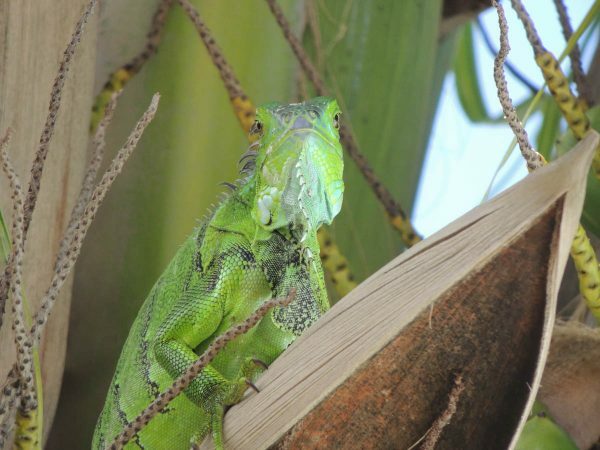 For anyone who can’t attend the opening night, the Exhibition will also be free for public viewing from 4-8pm on both Sunday June 26 and Thursday June 30th, the last publicly open days planned for the pop-up Caribbean natural history museum Amuseum Naturalis. Amuseum Naturalis is located at 96 Boulevard de Grand Case in Grand Case. 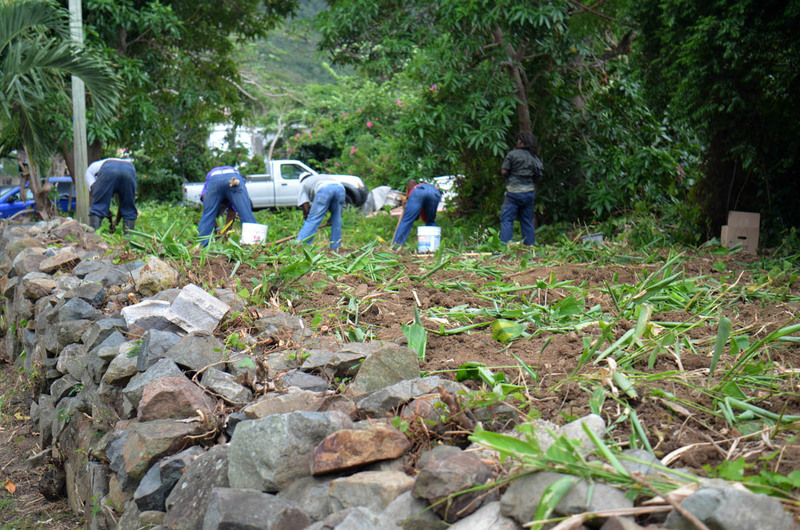 The contest gallery is online at http://www.lesfruitsdemer.com/category/spirit-of-st-martin/. 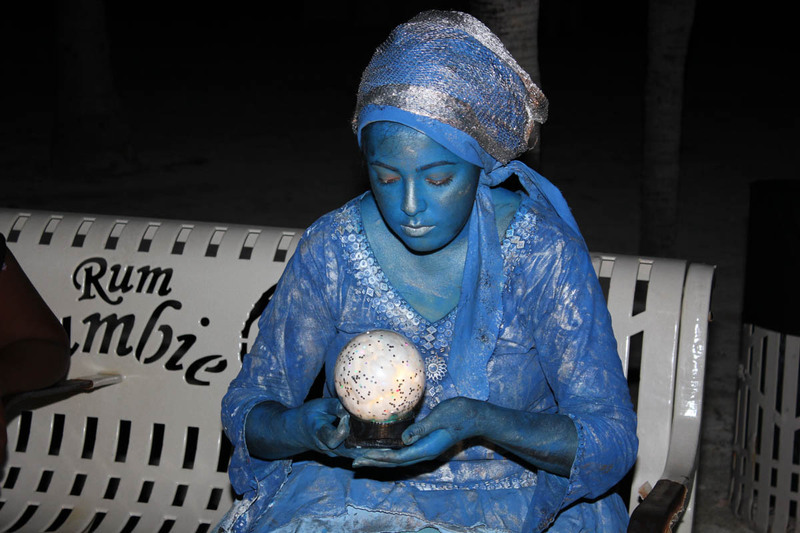 A Lady of fortune is searching for answers in her glass bowl during Statue by Night of the Caribbean living statues by night in December, 2015. 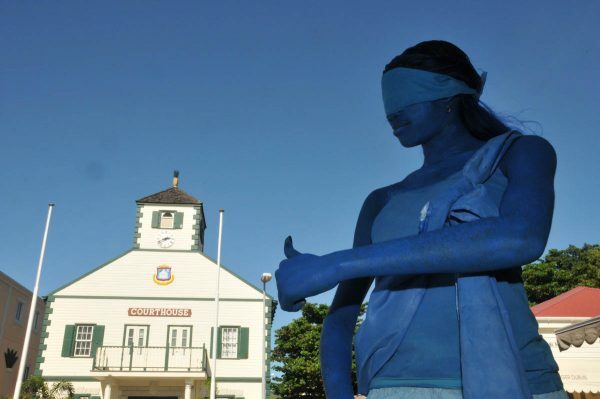 A cultural festival of living statues depicting the traditions, cultural heritage of Sint Maarten and its region. The Caribbean Living statues festival is the first one in its kind in the region, having its primeur on Sint Maarten. 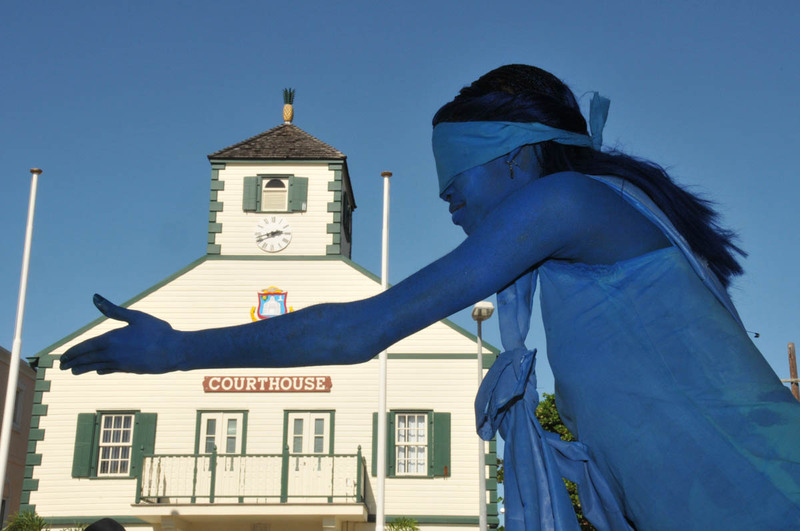 Lady Justice as a living statue commending the work of judges in front of the Court House of Sint Maarten in the Front street. 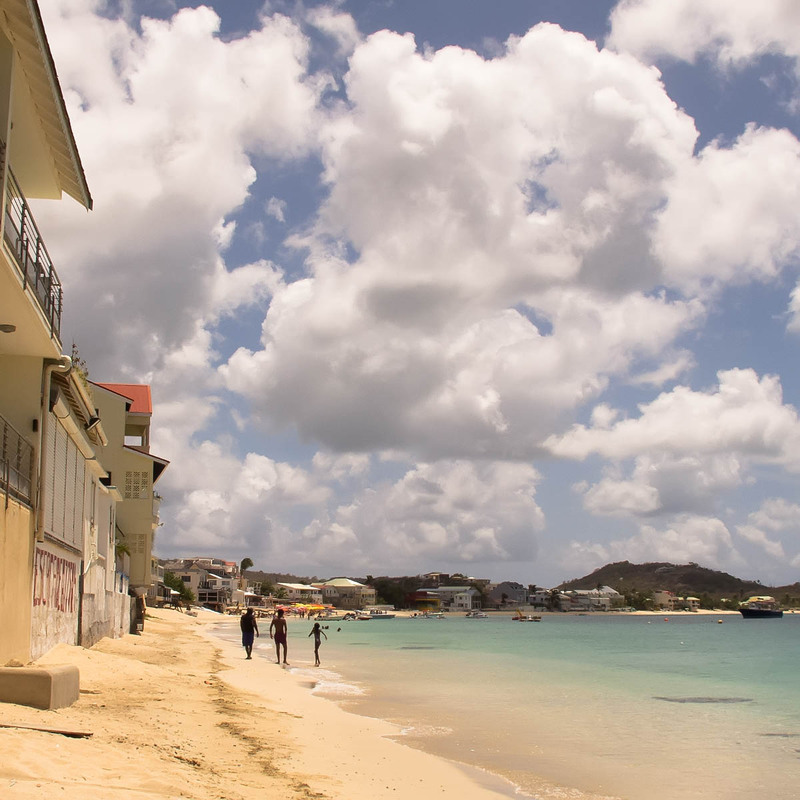 The Court house is one of the most remarkable and oldest Monuments on Sint Maarten. The sky is crystal clear symbolized the transparency of Vrouwe Justitia. The chef and owner of Caribbean Blend is a true ambassador for Dutch St. Maarten. 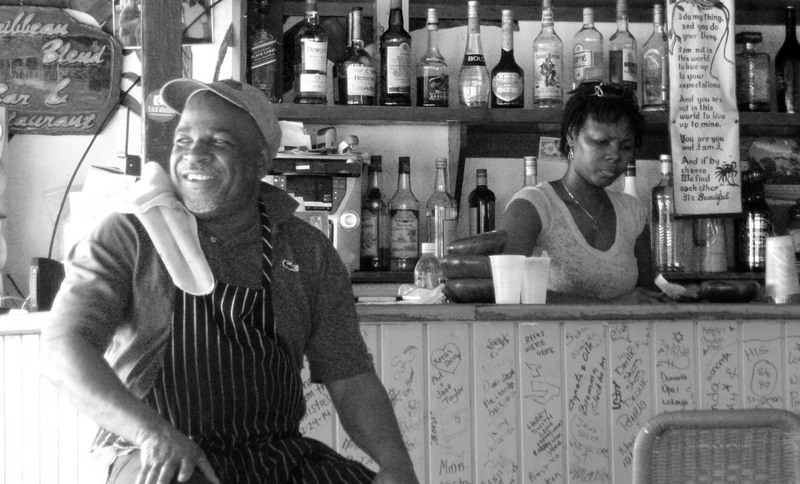 Daily, he greets and serves a brand new crowd of customers- straight from the ship- always with a smile. 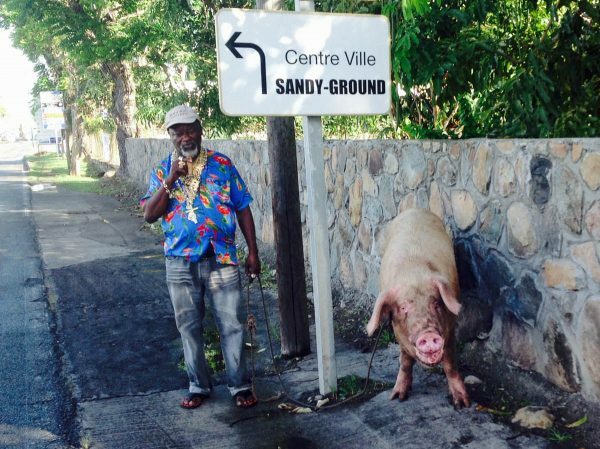 Where else in the world, do you meet a man taking his pig for a walk on a sunday morning?!?! This is the spirit of St. Martin to me: colorful, urban ledgends with a touch of mystery. 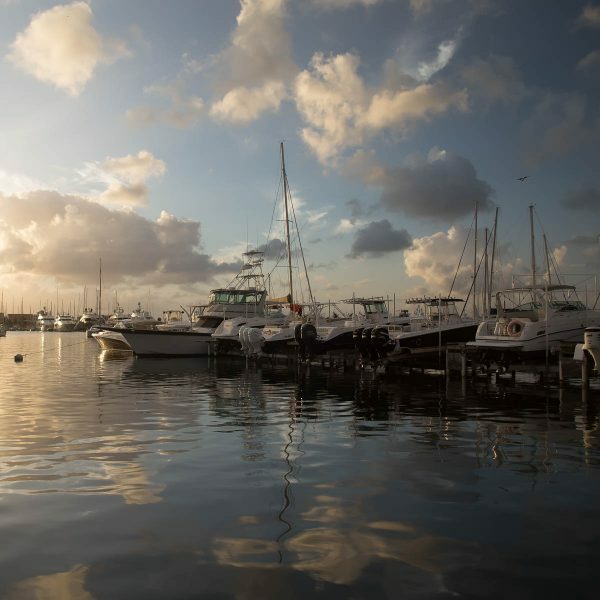 The tabebuia heterophylla, also known as pink trumpet tree, is native to the Caribbean islands. 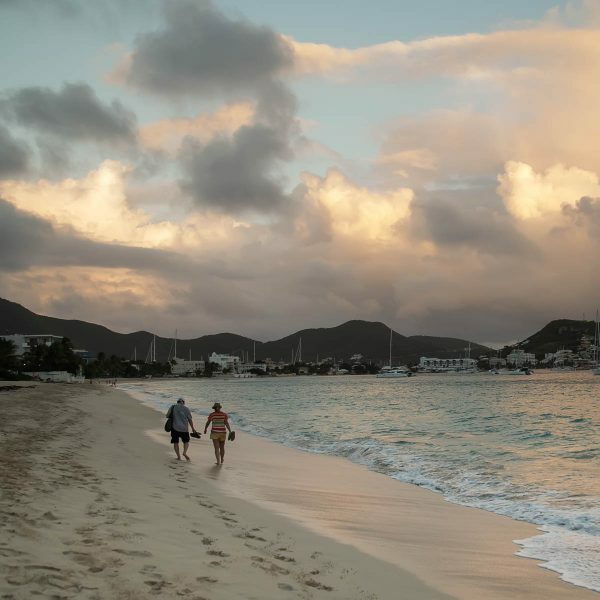 St.Maarten/St.Martin is filled with it. When the trees are in bloom you can see them everywhere, in gardens, alongside roads, and decorating the hills. The gentle soft blooms range from white to pale pink and purple and only last a few days before they fall off. 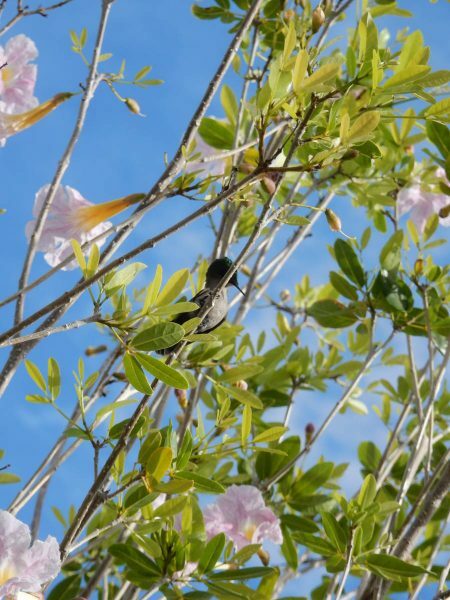 Here I was lucky to catch a hummingbird in its branches, that tiny most energetic of birds that hardly ever alights long enough to take a photo of. 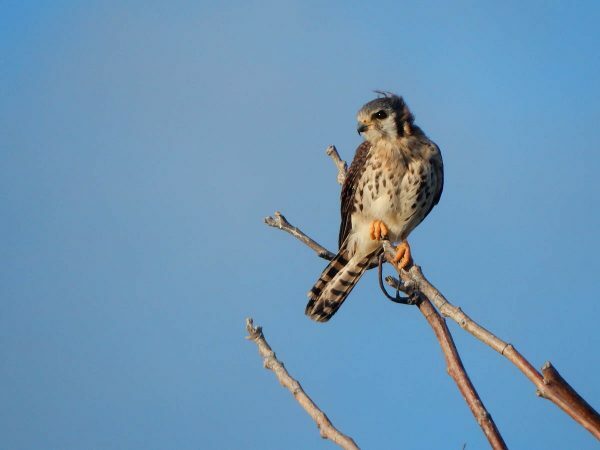 The kestrel is a small bird of prey. It likes to sit perched on the edge of a roof or like here, on the top of a branch, where it has a clear view of small movements below. We have consistently seen kestrels in the eastern hills near Dawn Beach for the past 10 years. 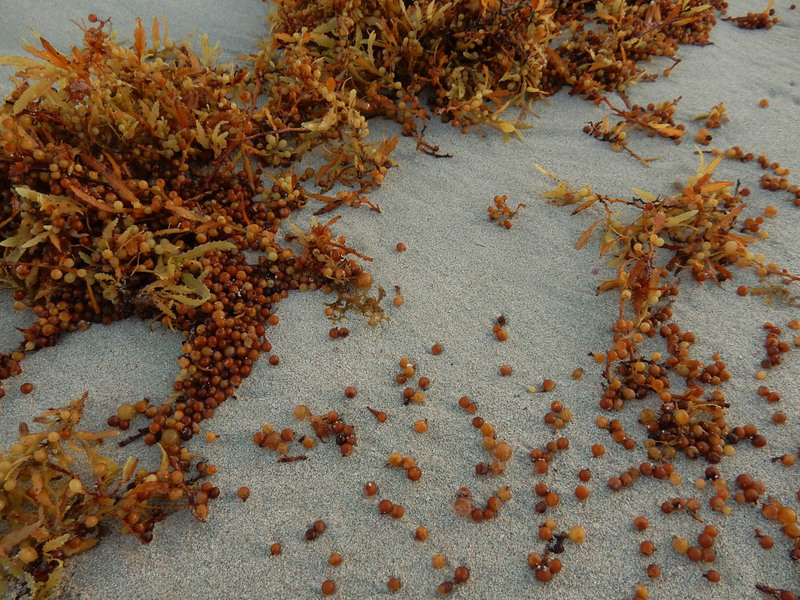 The sargassum weed lining our eastern shores is quite beautiful when fresh. It also serves as a foot massage when walking on it. As it dries and rots it attracts flies, so it regularly needs to be collected and disposed of. 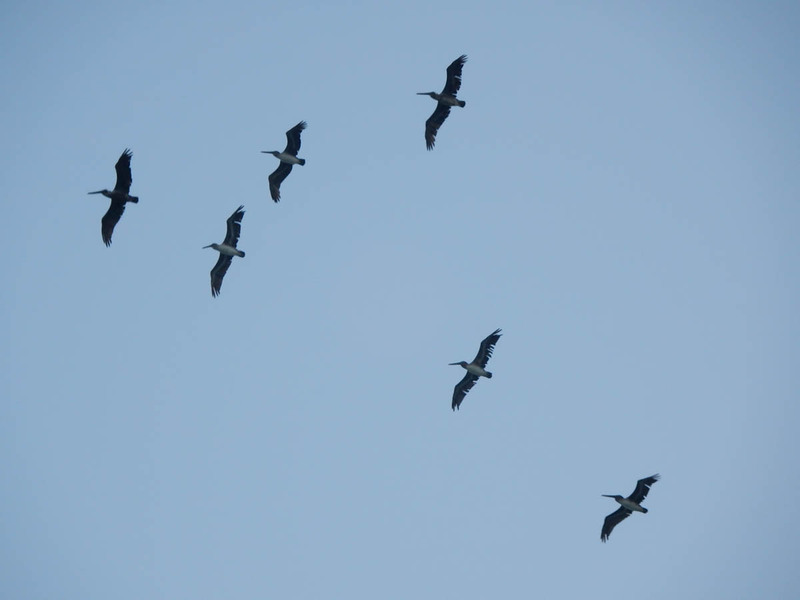 Late afternoon flock of brown pelicans flying overhead, so typical for St.Martin/St.Maarten. 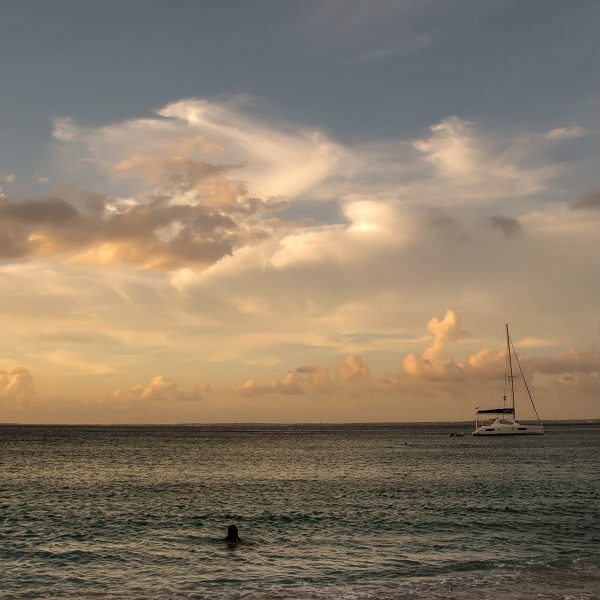 This picture was taken from Dawn Beach. Keepin’ it colorful—and oh so cool. 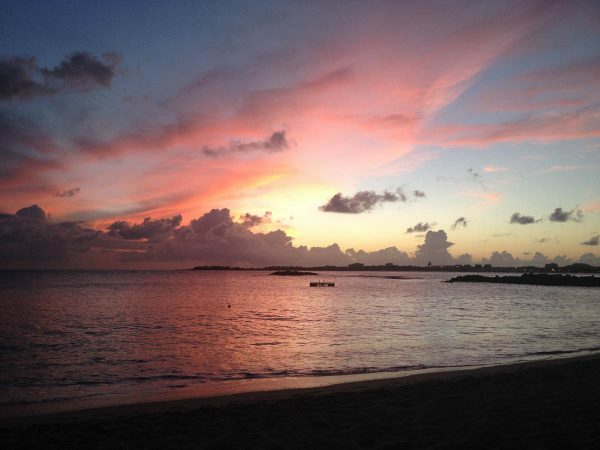 SXM: an island as sundry as its sunset sky. 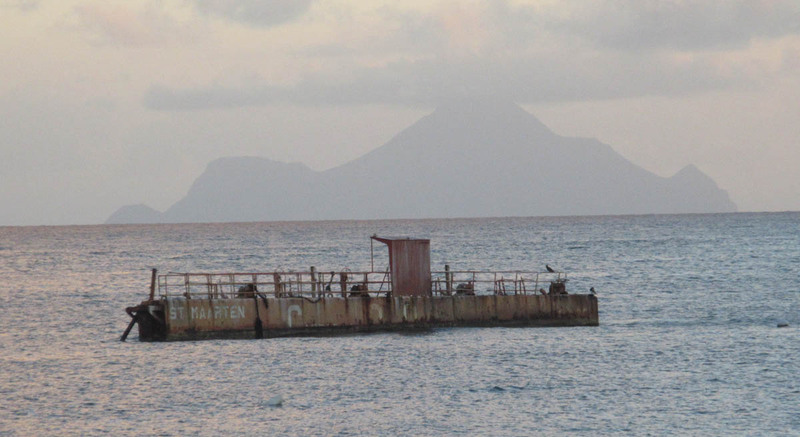 Picture of abandoned ship in Simpson Bay with Island Saba in the background. 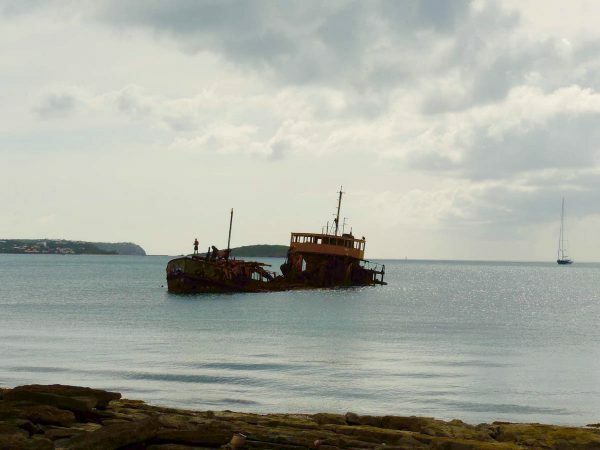 Everything is returned to the earth and this ship will be returned to the sea. 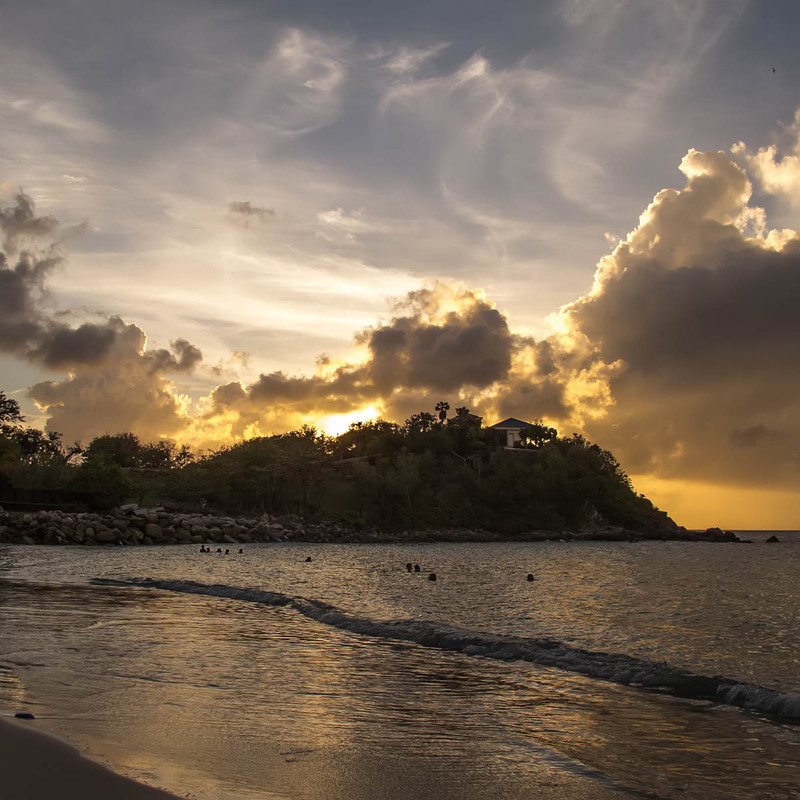 Symbolizes the pure nature of SXM. You can never take that away. 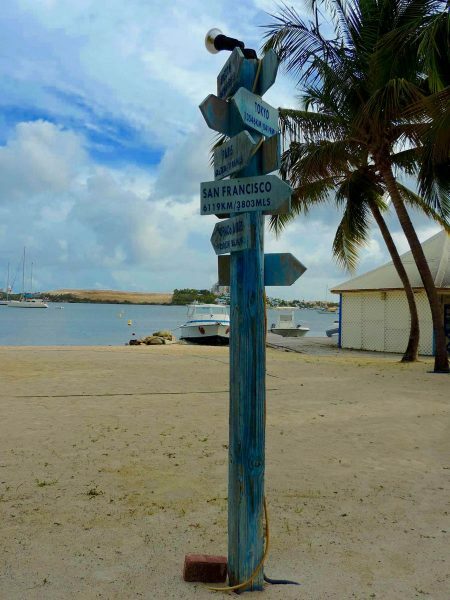 Tout comme ce panneau indiquant des dizaines de villes internationales, Saint-Martin est un mélange de couleurs, de nations, et de religions. 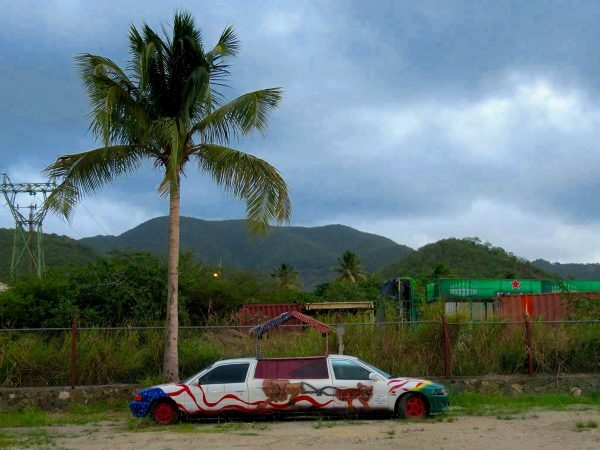 Tout comme notre île cette voiture a deux côtés. 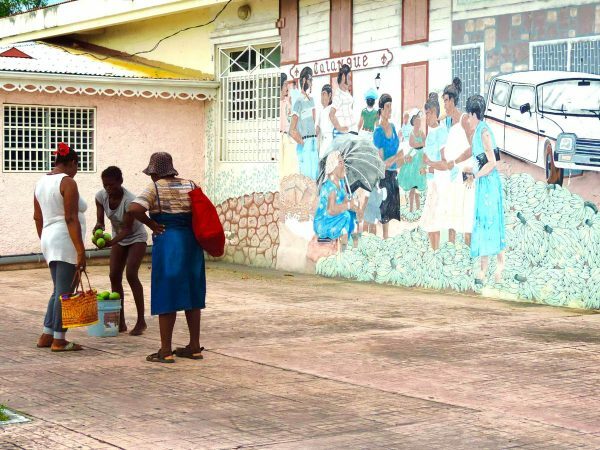 Elle représente aussi l’esprit joyeux et festif de Saint-Martin. 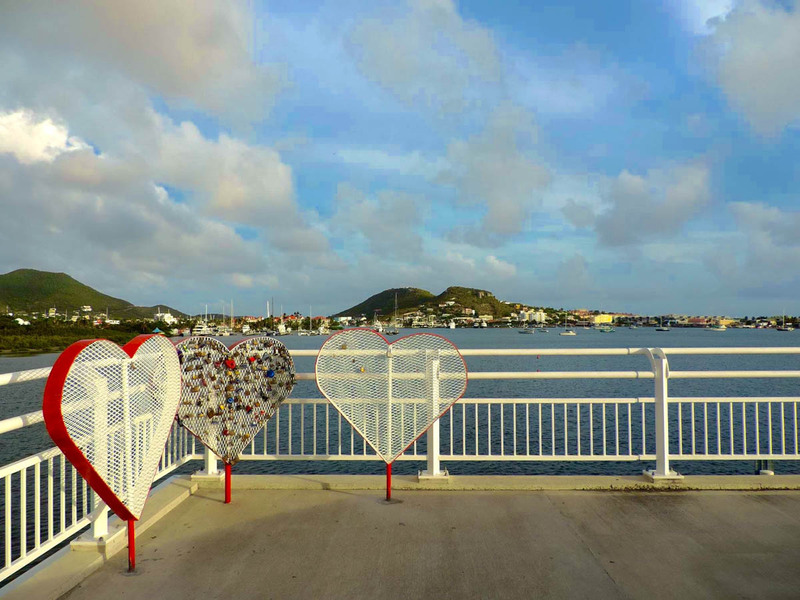 Comme nous le montre cette photo, Saint-Martin est une île qui a un grand coeur. Grâce à cette photo on peut remarquer que l’esprit du marché de Saint-Martin n’a pas changé malgré les années qui sont passées. 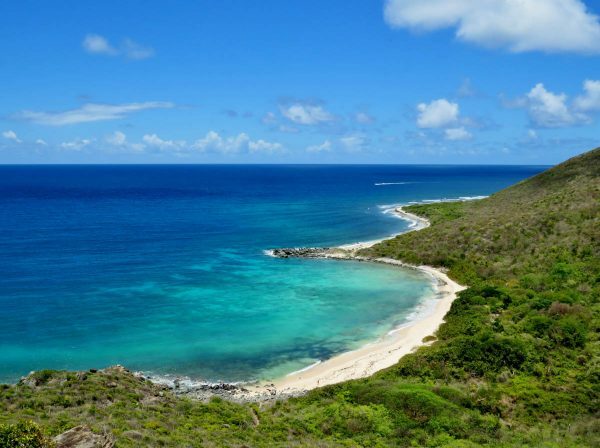 Un des plongeoirs improvisé de l’île dans l’esprit de la “friendly island”. 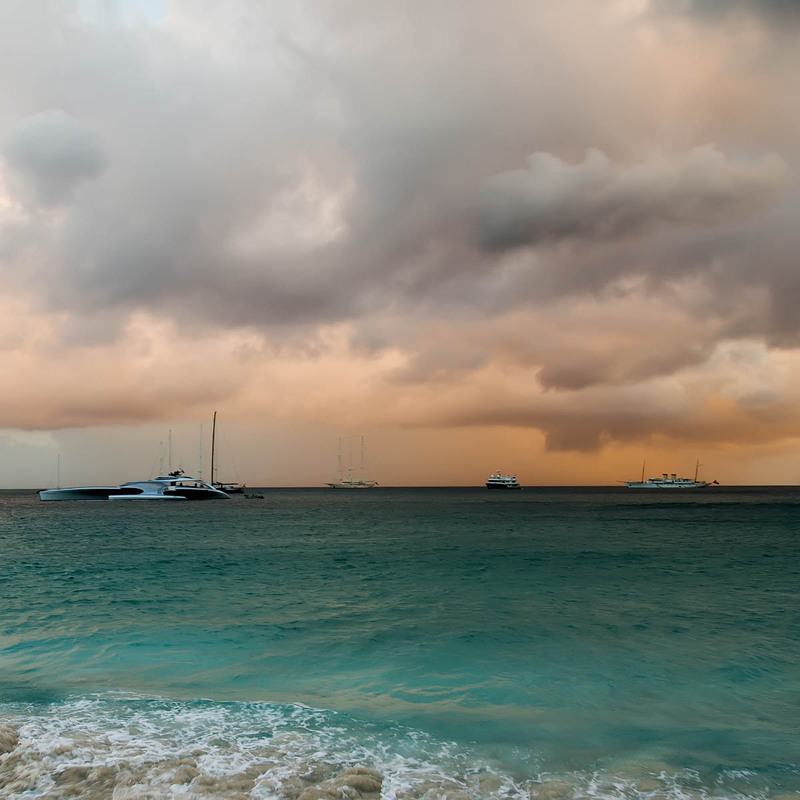 The spirit of St. Martin is hanging out at the beach too. Metaphor for the spirit of life as a way to walk together. Swimming under a clouds canvas.